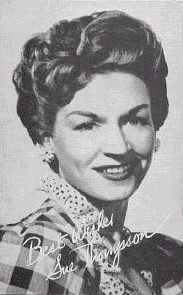 The song was first recorded by Ruth Casey on the Cadillac label. 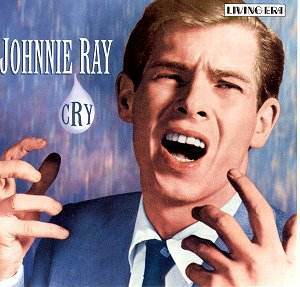 The biggest hit version was recorded in New York City by Johnnie Ray and The Four Lads on October 16, 1951. It was a No.1 hit on the Billboard magazine chart that year, and one side of one of the biggest two-sided hits, as the flip side, “The Little White Cloud that Cried,” reached No.2 on the Billboard chart. The original version of the song was recorded by Sue Thompson on Mercury’s country label. 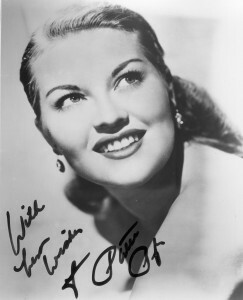 It was soon covered by Patti Page, whose version was issued by Mercury as catalog number 5899, with “I Went to Your Wedding” (a bigger Patti Page hit, reaching #1) on the flip side. It entered the Billboard chart on August 22, 1952, and lasted 12 weeks on the chart, peaking at #4. 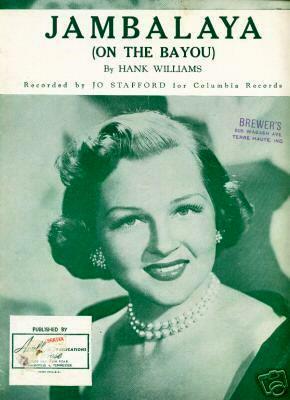 A cover version by Jo Stafford became the most popular version. 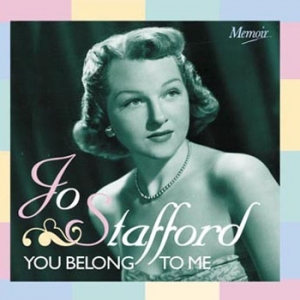 Issued by Columbia Records as catalog number 39811, it was Stafford’s greatest hit, topping the charts in both the United States and the United Kingdom (the first song by a female singer to top the UK chart). 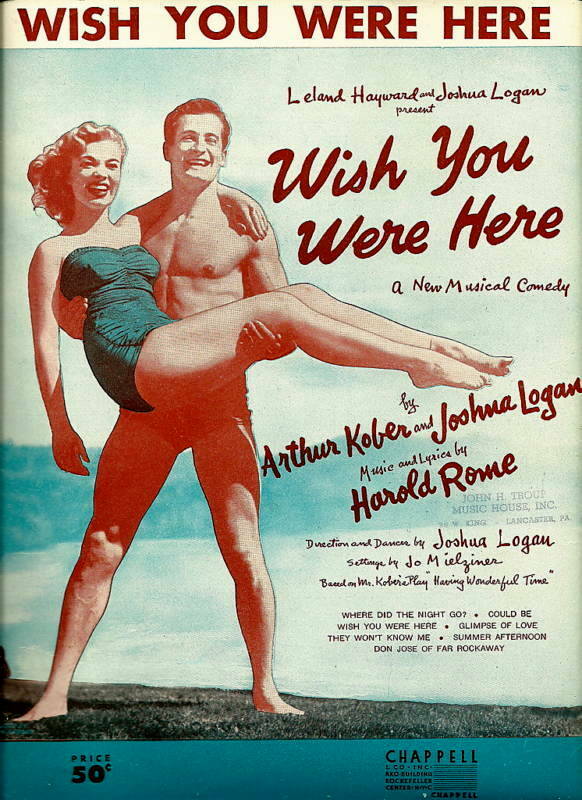 It first entered the US chart on August 1, 1952 and remained there for 24 weeks. In the UK, it appeared in the first ever UK chart of November 14, 1952 (then a top 12) and reached number 1 on January 16, 1953, being only the second record to top such chart, remaining in the chart for a total of 19 weeks. Auf Wiederseh’n Sweetheart is a popular song and a cover version of “Auf wiedersehen, auf wiedersehen” written by German composer Eberhard Storch. Storch wrote the song in the hospital for his wife Maria as he was ill for a long time. The English language lyrics were written by John Turner and Geoffrey Parsons. 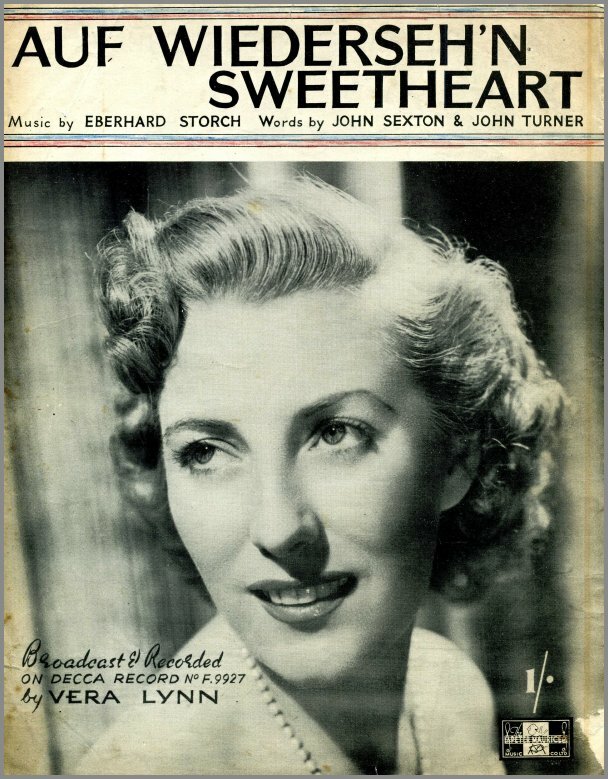 The best-known version of the song was recorded by English singer Vera Lynn. The story goes that Vera was on holiday in Switzerland and heard people singing the song in beer parlours, and when she got back she felt she had to record it, so found the music and had lyrics written. Second Hand Songs lists a 1951 recording by Curley Williams and The Georgia Peach Pickers , with a recording by Hank Williams being the first released in 1952. 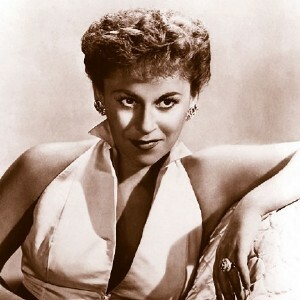 The same year, Rosemary Clooney recorded a hit version for Top 40 markets [in the US, and it was covered by] Alma Cogan in the United Kingdom. Since then the song has been recorded by a number of artists including Patsy Cline (1962), Ray Charles (1962), Eddy Arnold (1964), Sharon Redd (1968), Petula Clark (1974), Emmylou Harris (1992), Cake (1998), and Van Morrison (2006). (below) Colgate Comedy Hour, an episode hosted by Dean Martin and Jerry Lewis. I believe it’s episode #1 of the show’s third season, original air date 21 September 1952. 10. 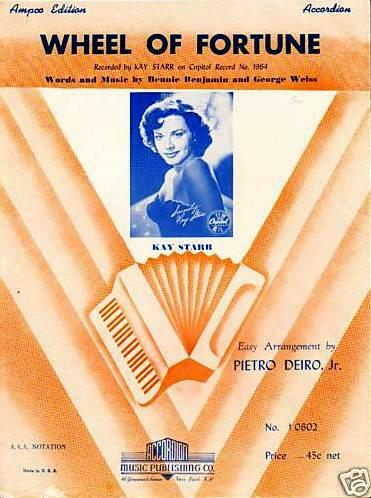 Delicado (m. Valdir Azevedo, w. Jack Lawrence) Published in 1952; a version by Percy Faith reached #1 that year. 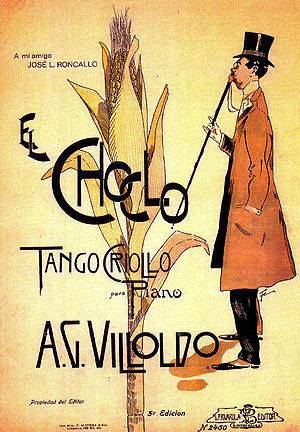 “El Choclo” (Spanish: meaning “The Ear of Corn” more accurately “The Corn Cob”) is a popular song written by Ángel Villoldo, an Argentine musician. Allegedly written in honour of and taking its title from the nickname of the proprietor of a nightclub, who was known as El Choclo. It is probably one of the most popular tangos in Argentina. The piece was premiered in Buenos Aires, Argentina in 1903 – the date appears on a program of the venue – at the elegant restaurant “El Americano” on 966 Cangallo Street (today Teniente General Perón) by the orchestra led by Jose Luis Roncallo. The song was published in 1921 and first recorded by Emmett Miller for OKeh Records in 1924. Accompanying himself on ukulele, Lawson recorded his own version for Gennett Records on July 31, 1925. 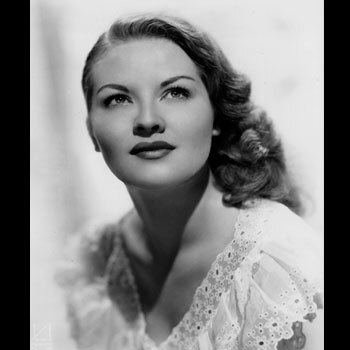 “Blacksmith Blues”…was written for Ella Mae Morse by Jack Holmes. The arrangement was created by Billy May and Nelson Riddle and the first recording was produced by Lee Gillette. Bob Bain played a muffled ashtray with a triangle beater to create the hammer and anvil sound effect. The recording reached #3 on the Billboard chart when it was released in 1952 and sold over a million copies. 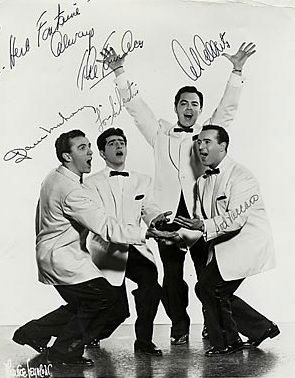 The original Italian version (Ba-Ba-Baciami Piccina) by Alberto Rabagliati was written by Riccardo Morbelli (words) and Luigi Astore (music). English lyrics were written by Eddie Stanley. Baciami in Italian means kiss me. 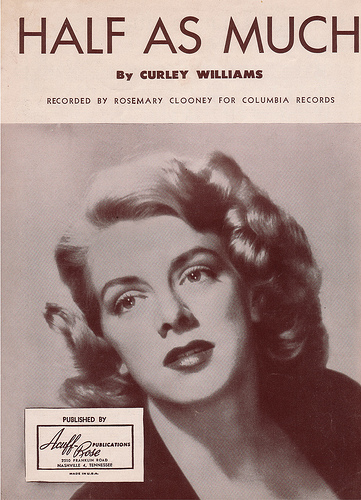 The song was popularized by Rosemary Clooney in 1952. The recording was released by Columbia Records as catalog number 39767. 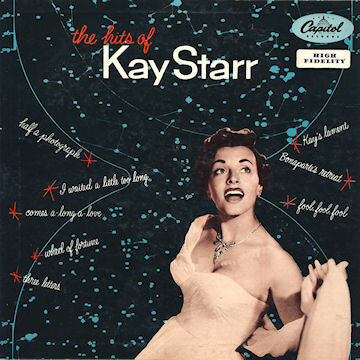 The record first reached the Billboard magazine charts on June 20, 1952 and lasted 17 weeks on the chart, peaking at #2. Wikipedia also indicates that the song was written in 1941, though whether they mean the English lyric version as well is unclear. (below) Rosemary Cloooney performs the song on the Colgate Comedy Hour, during an episode hosted by Dean Martin and Jerry Lewis. I think it’s episode #1 of the show’s third season, original airdate: 21 September 1952. The song originated in a British song, “I Went to the Alehouse (A Knave Is a Knave),” dating from 1719. 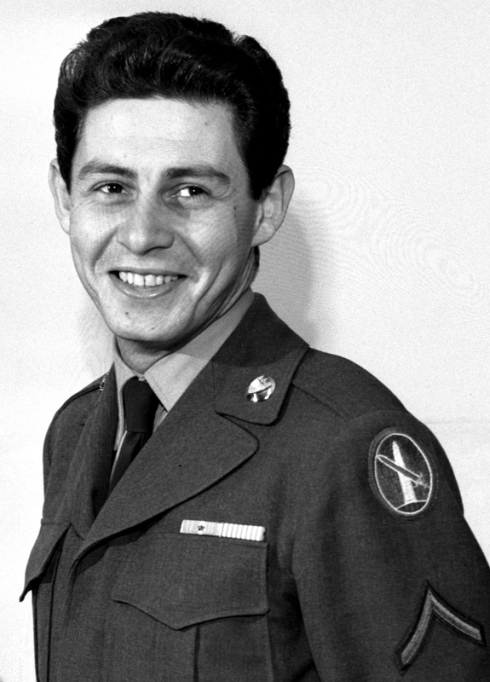 During World War II, soldiers sang a bawdy song based on “A Knave Is a Knave,” entitled “A Gob Is a Slob.” Oscar Brand cleaned up the lyrics, and wrote this song based on it. The best-known version of the song, recorded by Doris Day, charted in 1952. The recording was recorded on February 7, 1952 and released by Columbia Records as catalog number 39673. 19. High Noon (m. Dimitri Tiomkin, w. Ned Washington) aka “Do Not Forsake Me, Oh, My Darlin'”) — The song was introduced in the movie High Noon, sung over the opening credits by Tex Ritter. 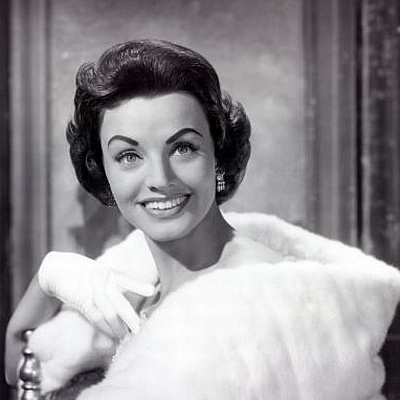 It was awarded the 1952 Academy Award for Best Original Song. I am putting together a program of popular song from 1940s and 1950s to perform at retirement centers. Your site has been very valuable to me. Thank you. Good luck on your program. Thanks for the kind compliment.